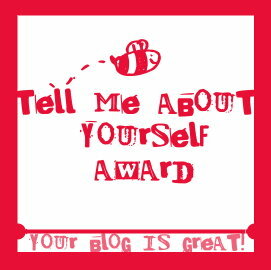 I am very lucky to have made some lovely friends through blogging and You Tube and recently I was lucky to receive an award from the lovely Cara from cararobinson.blogspot.com. A fellow nail addict! 1. As well as being obsessed with nail varnish I am addicted to collecting fabric. I get very excited by beautiful fabrics and have a stash of materials from Sanderson, Harlequin, Villa Nova and Cath Kidston. 2. I think I'm semi double jointed, I can get my leg behind my head! 3. I have recently become a bit of a roller coaster junkie! Having been terrified of them my whole life I went on the Saw ride at Thorpe Park about two years ago and then I went to Alton Towers twice in a year and I'm going next year too! I'd love to go back to Orlando and go to Universal and Busch Gardens after being to scared to go on the rides when I was younger! 4. I hate making phone calls, if I can put it off I will, it gets me into trouble though! 5. I don't own a pair of jeans. 6. One of my biggest regrets is not sticking with musical instruments when I was younger, I played the clarinet and flute but due to moving house and schools I gave up. I enjoyed it! 7. I would love to have my own shop selling cushions, rugs, furniture and home items I just love all that stuff!